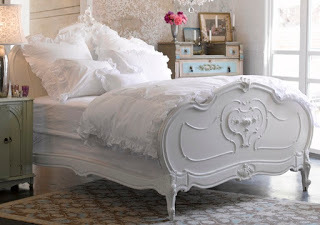 The vision for Abby’s new room is all Shabby Chic. Oh, I am so excited. I decided to do it that way shortly after she was born and since I’m a planner, I’ve already collected a bunch of things for the new room! It works out perfect because of the new baby coming and I don’t have to scramble to find things. The other plus about planning ahead is finding the right stuff for cheap prices. I found the perfect comforter for $35 on clearance at Target and a mirror for $1, dresser for $30, headboard for $5, and more. 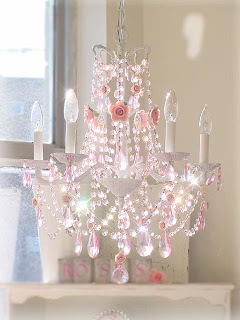 But they were all spread out over time and fit into my vision for her room. Here’s what I want the “feel” of the room to be. 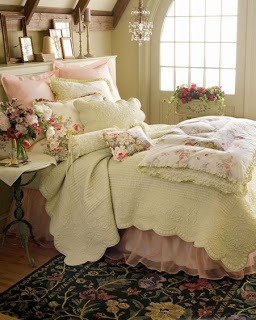 I really like this comforter. 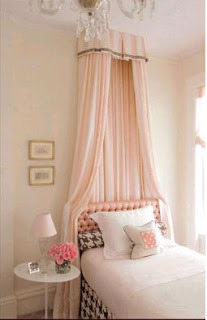 Abby’s is kind of similar but pink! 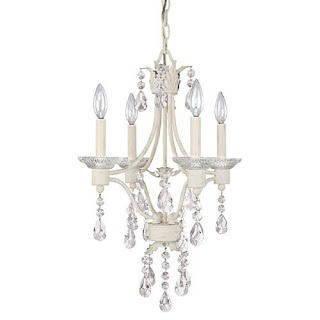 I like this chandelier too and feel like finding something similar to this is doable. I love the feel of this room too. I am so excited to start working on her new room. I still need a couple things and I have to start transforming and painting the stuff I’ve bought. So much fun! I can’t wait to post before and after pictures of the room and everything! !